Have you ever made one? They are the simplest things ever. Extremely frugal to make yourself. And I am telling you, you will step out of the shower feeling like a new woman. Incidentally, you know the story of Esther from the Bible? When reading that Bible story, is anyone else completely distracted by the fact that when Esther was forced into the king’s harem, she was subjected (subjected, mind you) to 12 full months of beauty treatments? Well, I’m pretty convinced that a body scrub was probably among those treatments of hers because I feel like I just underwent 12 months of beauty treatments after using one! Okay, so go look in your pantry and fridge. You need 3 things. Lemon juice (the real stuff, freshly squeezed). That’s it, friends. If you don’t have a lemon, have your hubby pick one up on his way home from work, because you’re going to want to make this scrub before your next shower. If he protests, tell him it’ll be worth the stop. 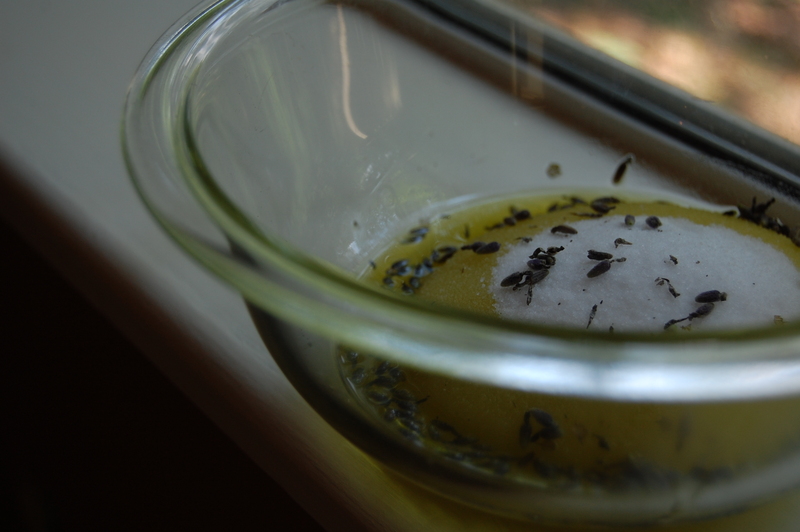 Or, if you have a few herbs in your garden, you could make this sea salt scrub. 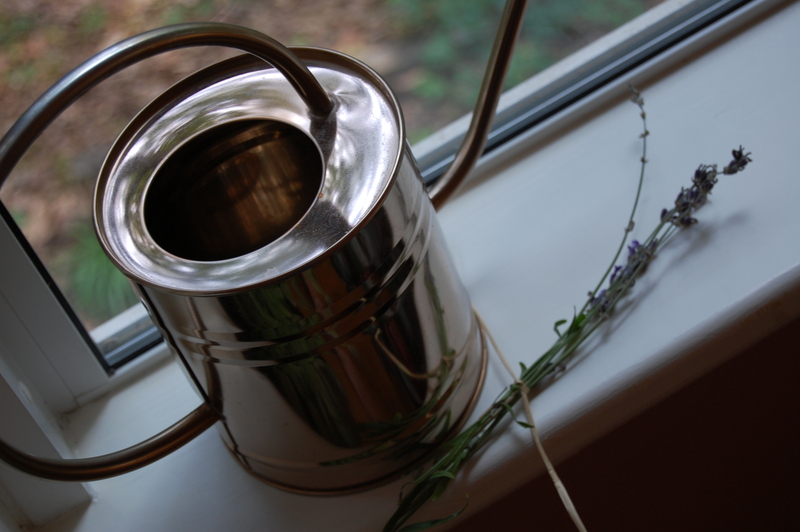 I happen to have some lemon balm and lavender in my garden, so I tried this one without the lavender oil (because I didn’t have it on hand). I definitely liked it, although, I would definitely use some lavender essential oil next time, to give it more of a fragrance. Yes, next time you are at Walmart, buy a jar of Coconut Oil and click on the above link and make this. You need one ingredient and it’s cheaper than a bottle of store-bought lotion! 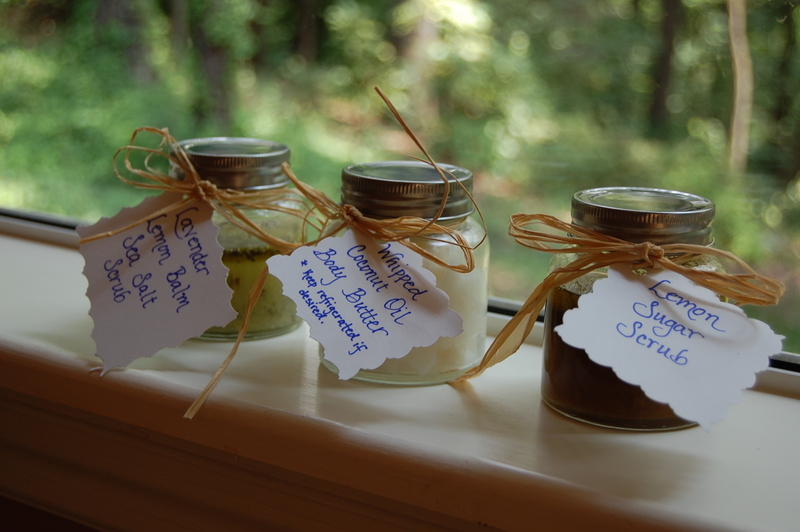 Last week, I made a couple of scrubs and the Whipped Coconut Oil for my sister-in-law for her birthday. I kept getting the oil all over my hands and rather than washing it off, I’d simply rub it into my arms and lower legs. I practically melted onto my bedsheets that night. 🙂 This stuff is amazing! The trick is, to apply it while your skin is still damp . . . that way, it absorbs better and isn’t quite so greasy. So have fun, girlfriends! Oh, and when your hubbies comment on how soft and silky your skin is, you can tell them to thank me. 😉 Oh yeah, and God, since He’s the one who made all of the ingredients. How cool is that??? Posted in beauty and tagged homemade. Bookmark the permalink.